The Government needs your W keys!! The White House desperately needs your support! 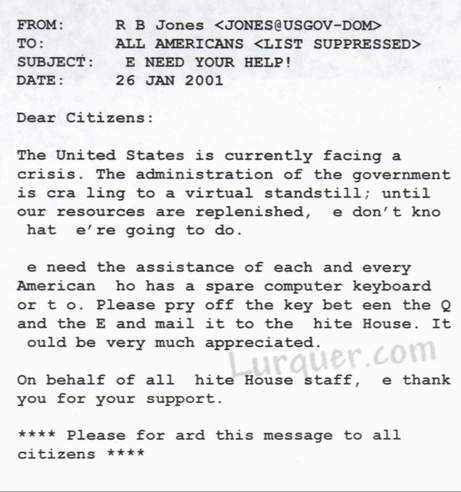 Missing W keys from computer keyboards throughout the White House are crippling our Government. Not only is this a problem for George W. Bush's administration, it is also creating problems for women, the weak, war veterans, and wings of both the right and left variety. Do your public duty and notify a friend!